Cillian Murphy May Give A Quiet Place Aliens a Run for Their Money in SequelThe actor is reportedly in talks to play “a man with mysterious intentions” who joins Emily Blunt’s family in the upcoming film. John Krasinski Officially Directing A Quiet Place 2, and There Better Be SocksEmily Blunt, Millicent Simmonds, and Noah Jupe are all in talks to return. The Best Horror Movies of 2018 (So Far)The humans are scarier than the monsters. A Quiet Place Has Made a Very Loud $300 Million Around the WorldThe little creature feature that could is a huge winner for Paramount. A Quiet Place Has a Sequel in the WorksPresumably it’ll be called A Quieter Place and include no talking at all. Audiences Continue Flocking to A Quiet PlaceEveryone just loves feeling bad about eating loud snacks, apparently. A Quiet Place Had the Best Opening Ever for an Original Horror MovieWith a $50 million debut weekend, it’s also the third-highest opening for any horror film overall. Turns Out A Quiet Place Is What the People WantedFans flocked to see the film where everyone just shuts up for a minute. They Should Have Worn Socks in A Quiet Place, Right?I can only suspend my disbelief so much! A Quiet Place Could Win the Box Office This WeekendThe John Krasinski–directed horror movie could reach the $30 million mark in its opener. Let’s Talk About the Nail Scene in A Quiet PlaceIt boils down the best of John Krasinski’s horror debut into one harrowing sequence. John Krasinski Had to Break the News to a Customs Agent That Emily Blunt’s TakenSorry, British customs agent. Krasinski’s been married to Blunt since 2010. John Krasinski’s A Quiet Place Uses Its Gimmick to Terrifying EffectThe catch in this horror film is thunderously effective: Don’t make a sound or you’re dead meat. 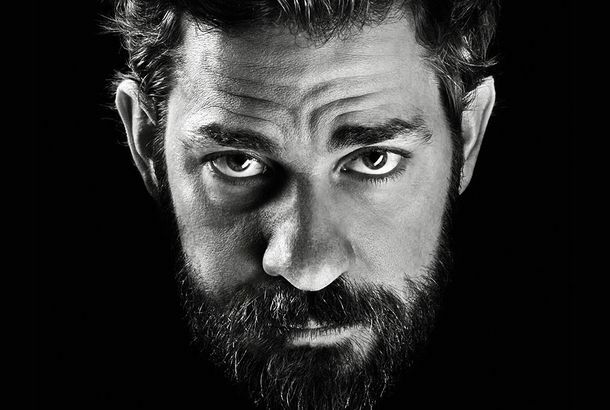 John Krasinski Wants You to Be Afraid of HimJim Halpert tries his hand at horror – as co-writer, director, and star of A Quiet Place.